Vintage Wall Cabinet Cupboard Shelf. 29" wide x 27" tall x 6" deep. 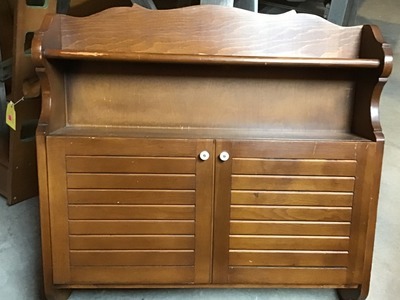 Two open shelves with storage area behind door which opens down. From a smoke-free home. Cash and carry no trades.